An elegant 5 star hotel in a great location, with red velvet alcoves and fringed lamp shades nodding to the square's shady past! Indulge yourself at in the award-winning basement spa with mud chamber, sauna and extensive treatments. For those interested in Glasgow's alcoholic history, take a tour of Glengoyne Distillery and Tennent's Wellpark Brewery. After an exhausting days sightseeing, refresh yourself with afternoon tea in The Salon. There are a multitude of bars and clubs nearby, start your night in the hotel bar and see where the night takes you. 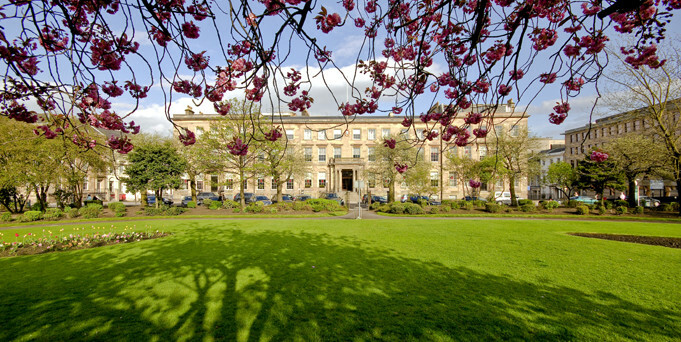 A number of world-class courses are located just outside Glasgow. 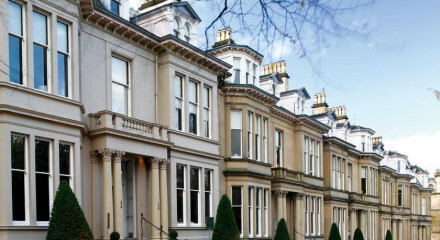 Easy access to Glasgow's famed Style Mile, packed with desinger stores it boasts the best shopping in Scotland. 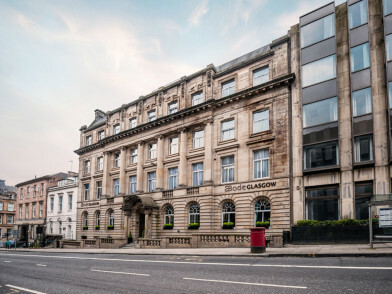 "The building has a spacious and glamorous feel, and its share of original features dating from the days when it was the headquarters of the Royal Scottish Automobile Club, during the golden age of motoring."